Barry, Anthony & RLR Msport took their revenge at Snetterton this weekend with a resounding victory in the SPEED series 6 hour race. 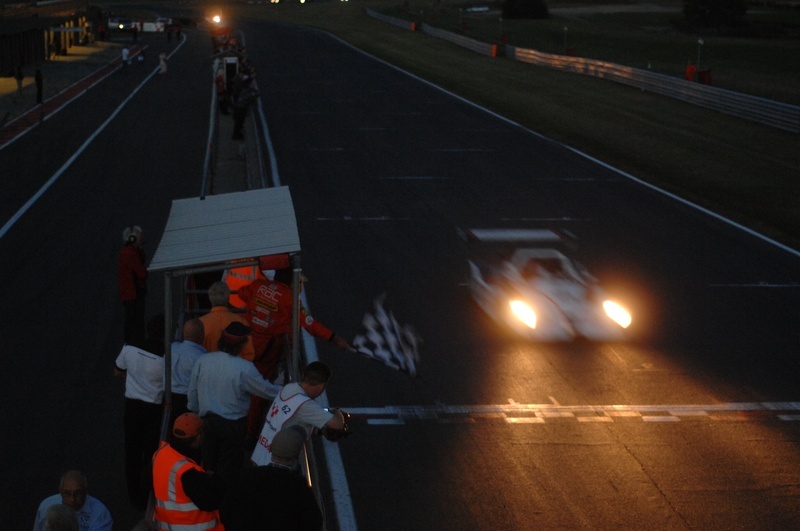 The team put behind them the their frightening pitlane fire in 2008 as they took the lead after 1 hour and never looked back, winning the race by a clear 3 laps ahead of Sarah Reader / Graham Fennymore's TFL Juno. The start was dominated by the Ligier of Sam Hancock who had lapped the entire field apart from the chasing Norma of Nick Padmore after just 30 mins. However, the JOTA driver's stint was to be for nothing as team mate Simon Dolan collided with a backmarker shortly into his stint. Barry caught and passed Jean Lou Rihon who had taken over from Padmore and ran strongly, setting a good pace. A little trip wide onto the grass at the exit of Coram, causing Barry to miss the chicane thankfully didn't cause major damage and Anthony nursed the car home to the chequered flag in the dusk to another deserved victory.